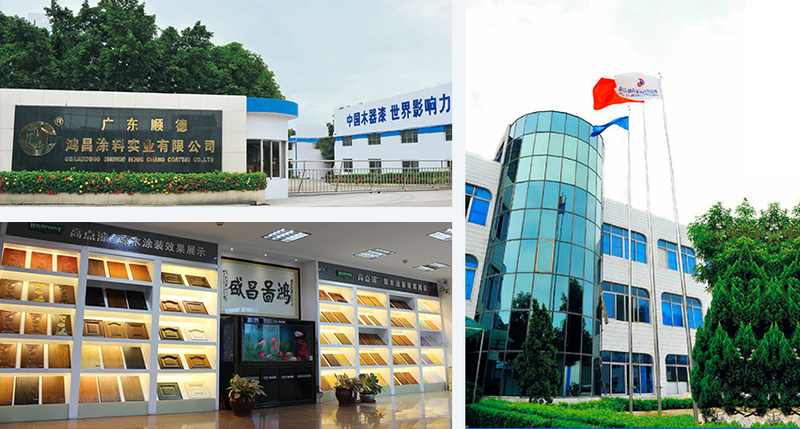 Company Profile-Foshan Shunde Hongchang Coating Industrial Co., Ltd.
We, Foshan Shunde Hongchang Coating Industrial Co., Ltd., locate in Guangdong Shunde, which is not only the hometown of coating in China, but also awarded as "Made in Shunde, Chinese proud". Set up in 1991, we are a reputed chemical engineering company, a famous wood lacquer manufacturer, and a national high-tech enterprise. With over 20 years’ efforts, we are well known as a big private enterprise on company scale and profit.